Interested in buying some meat in a large quantity? We can help. We are the ones with the expertise to help you make the right choices for your family and save you a bunch of money while doing it. Here is some information to help with deciding. Please feel free to call or contact us with any questions you may have. 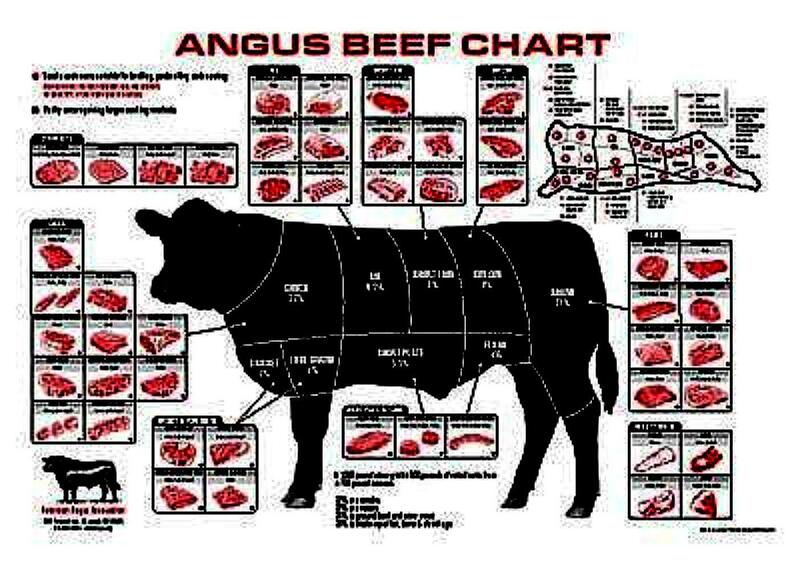 Our Black Angus Choice beef is available in whole, half and quarter portions. The weights are final weights so you will not pay for hide, fat, and bones that are of no use. You only pay for what you are going to take home and eat. 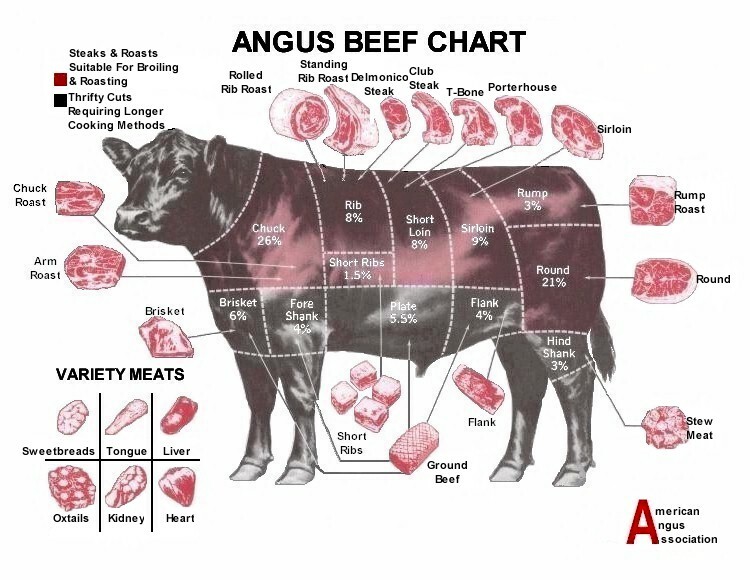 A whole Beef weighs about 450 lbs final weight. So how's it work?...We will sit down with you and go over each piece of meat that is in your chosen portion of the cow to see how you would like to have the cow cut and packaged for your family. Everything will be vacuum packed and marked so it is ready for the freezer. To better help in your decision between the choices here are a list of the available items in each portion. Depending on how you get certain pieces cut is whether you will get some cuts. 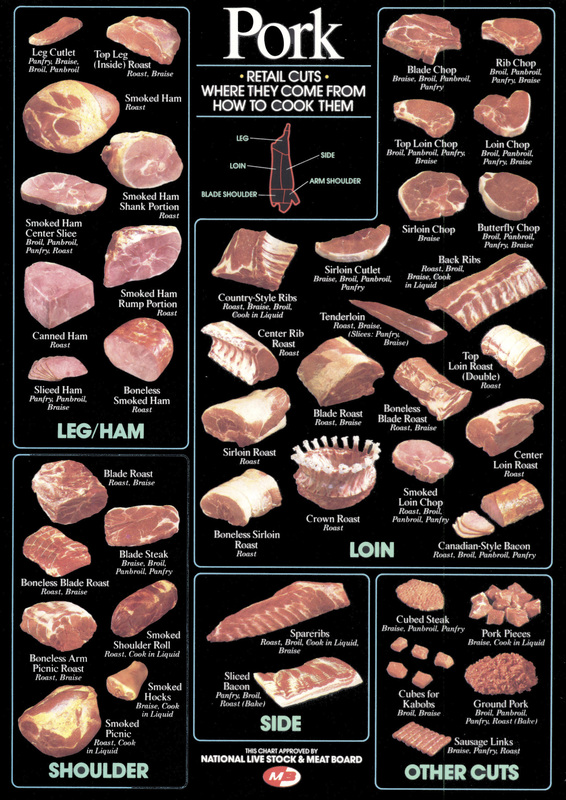 Also here you can click on the pictures to see the cuts and portions. Other items: stew, stir fry, cubed steaks, ground meat. Skirt steak, flank steak, cubed steak, stew, stir fry, ground meat. 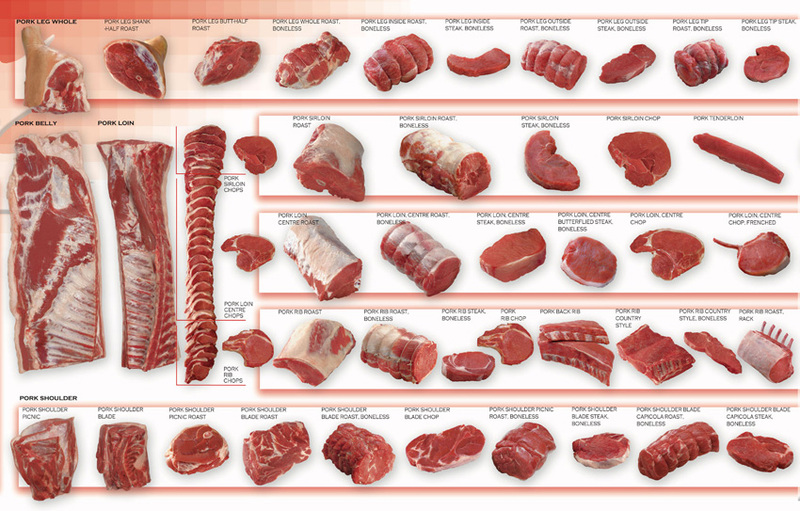 The half a cow will have one of every primal mentioned above in the hind and front quarters. The whole cow will have twice as much of everything mentioned above in the hind and front quarters. Click on the Pictures to see them bigger. The all natural (no hormone, no steroids added) premium pigs are available in half and whole portions for your family's benefit. A whole pig runs about 120 lbs. and a half pig is about 60 lbs. The weight is final weight and only includes what you will take home. No discarded fat or bones are included in the weight. Please call for current pricing for the whole and half pigs. 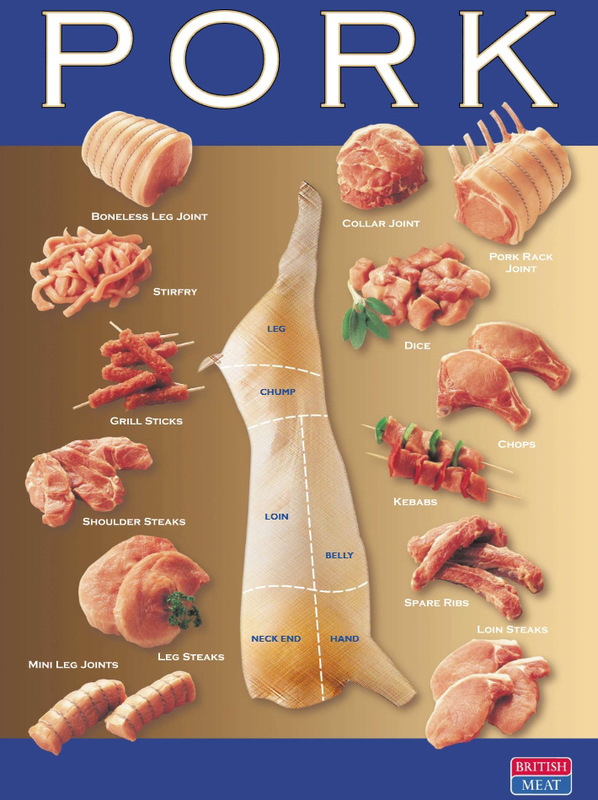 Here is a break down of the half and whole pig to help in your decision making. Also located below are some pictures so you may see the cuts available. The whole pig will come with twice the amount of everything mentioned above in the half pig. 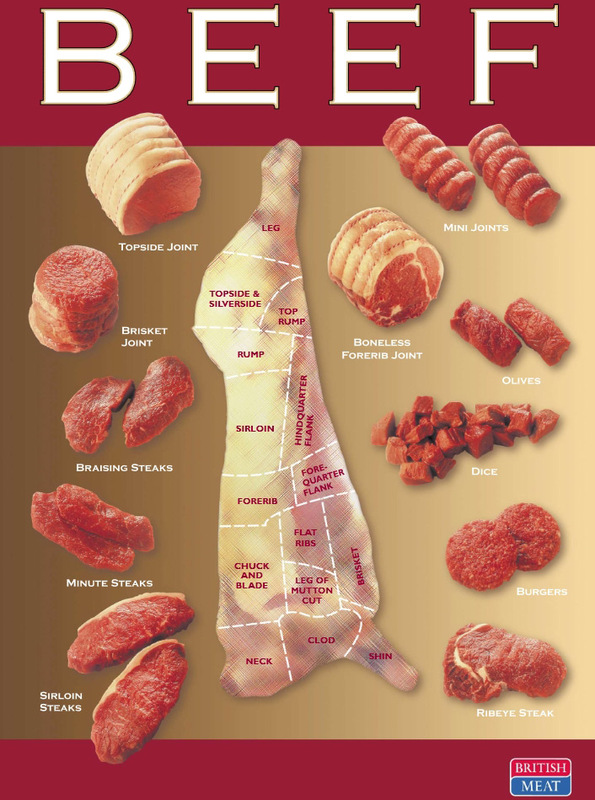 All of our quality meats are available in cases. This includes Whole chickens, Chicken Wings, Drumsticks, Leg Quarters, Ground Beef, Steaks, Sausages, and Boston Butts to name a few. Please call for current pricing and availability. For more information please call or click over to the brochure page on our site.